Home » Unlabelled » My Story about openSUSE.Asia Summit 2017 from Tokyo, Japan. 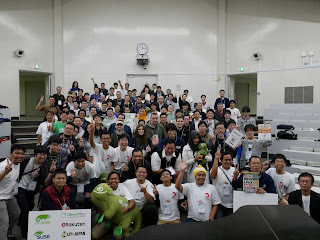 My Story about openSUSE.Asia Summit 2017 from Tokyo, Japan. 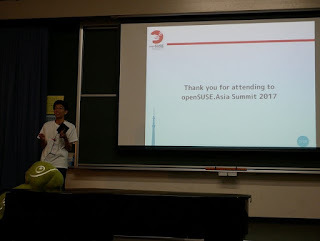 On September 4th, 2017 I got an e-mail from Takeyama-san that my idea accapted and I will be one of the speakers at the openSUSE.Asia Summit 2017. 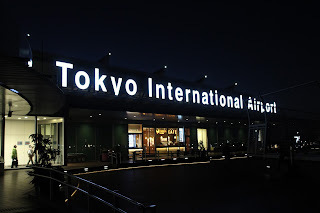 This will be my first experience to go to Japan. Me and several others Indonesian speakers, Dhenandi Putra, Yan Arief, Andi Sugandi and Tonny Sabastian went with the same flight. We departed from Jakarta. Indonesia on October 19, 2017, and arrive at Haneda Airport Tokyo on October 20, 2017 at 09.00 (GMT +9). After arriving at Haneda Airport, I went directly to the room that I already booked in Hachimanyama area, Tokyo by electric train. 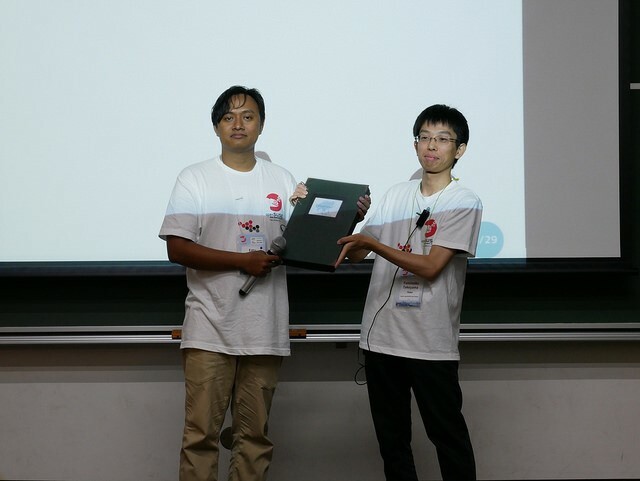 In the evening, all speakers are invited to attend the "Welcome Party" held by the local Committee. There is a registration table for the attendees. 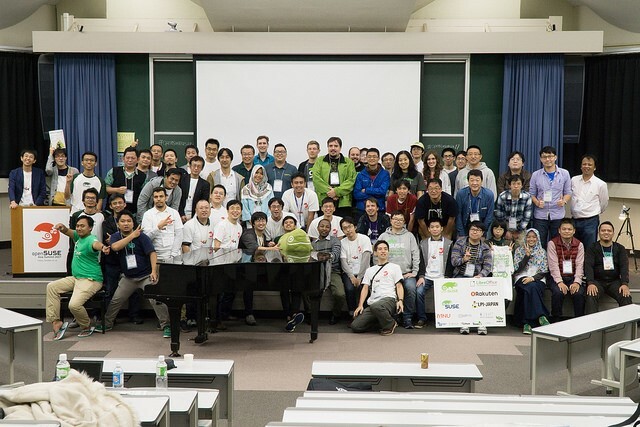 On Saturday, the event was opened by Takeyama one of the local committee from Japan. Welcoming with a great respect and thank you for attending the openSUSE Asia Summit to everyone in attendance. And on one of the agenda is the representative from Indonesia Estu where he gave photo album which contains the activities at the prior openSUSE Asia Summit event to Takeyama san. 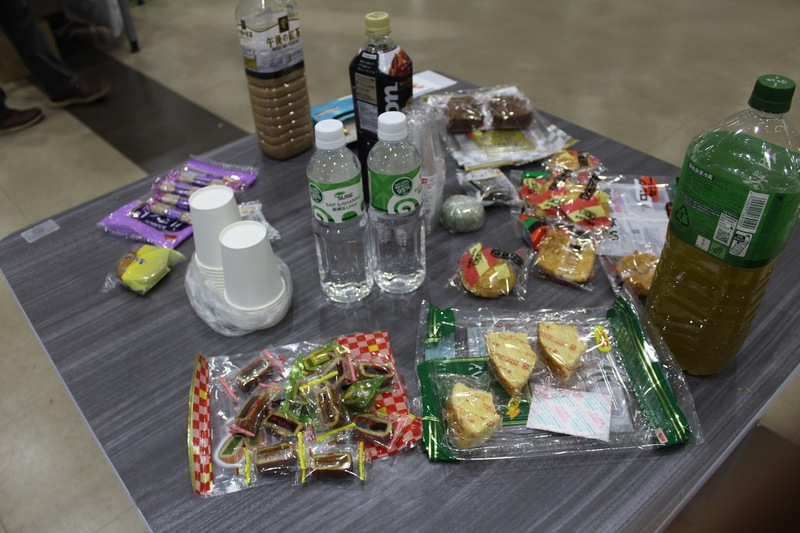 There are a variety of machendise on the booth committee, do not forget also available coffee and snacks at the event to entertain the participants and speakers. And all for free! The first day of the openSUSE Asia Summit event is divided into several classes. I attended classes Richard Brown, Dhenadi, Kukuh, Andi, Edwin and others. 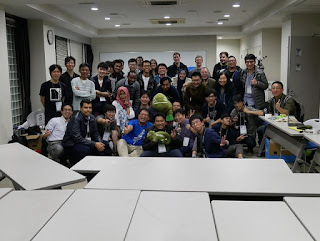 Not to forget, after the first day's event we took a photo together. In the evening, the local committee provides the another party. This time it was at the restaurant at UEC (University of Electro Communications). On October 22nd, 2017 At 16:30 (GMT +9) or the second day of the event. 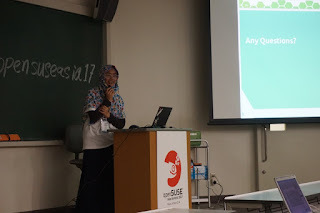 I gave my presentation, that took place in "Room 2". 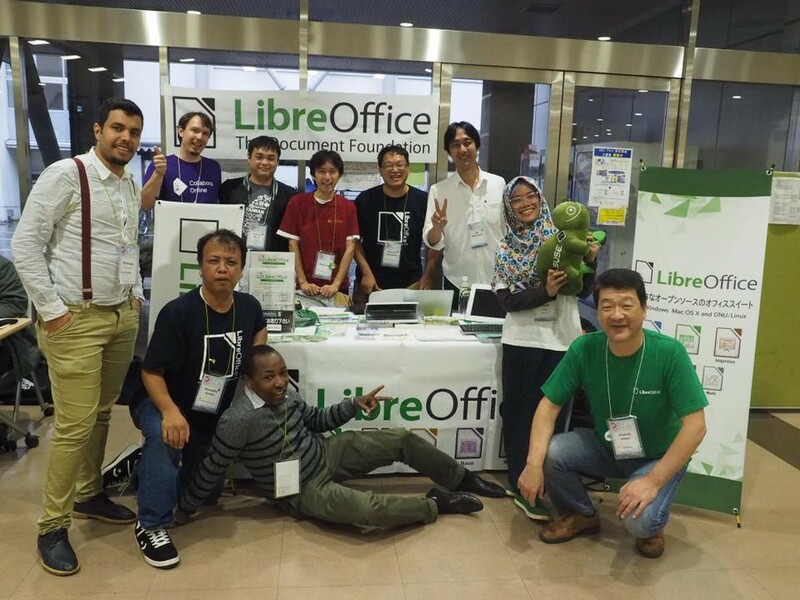 I brought about LibreOffice with Title "Write Your Story with OpenSource". There are some speakers who also brought topics about LibreOffice, and we take pictures together. 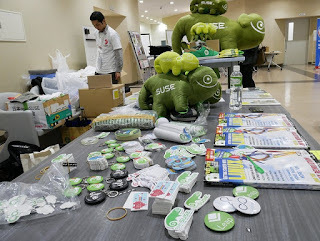 And the days of the openSUSE event. Asia Summit 2017 is over. Group photo was taken back, as the show's closing sign. 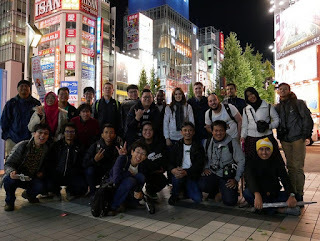 The day after the event is over, the local committee invited all speakers to have one day tour arround Tokyo. 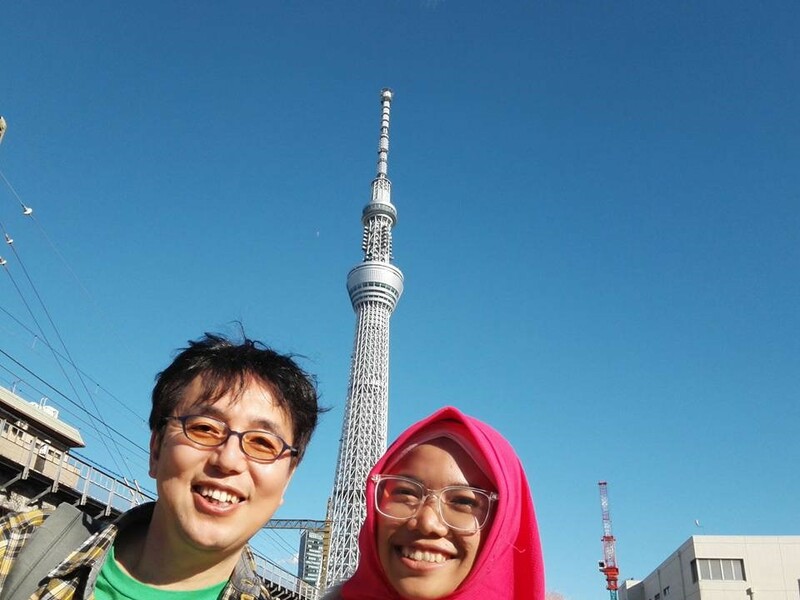 In the Morning visit "Shensoji Temple", in the afternoon visit "Tokyo Skytree" and at night visit "Akihabara". We took pictures together in Akhibara. And on October 24, 2017. I and some friends made a flight back to Indonesia. In the evening, I already felt the air and the night darkness sprinkled with stars from the sky of Indonesia. Thanks to The Document Foundation (TDF) for Travel Support Program. See you in other opensource activities.